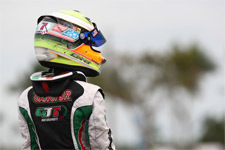 After claiming his third Rotax National Championship at the beginning of August and his ticket to the Rotax MAX Challenge Grand Finals, top karting pilot Anthony Gangi Jr. turned his attention back to the ROK Cup USA series in his bid for yet another invite to an international world final. 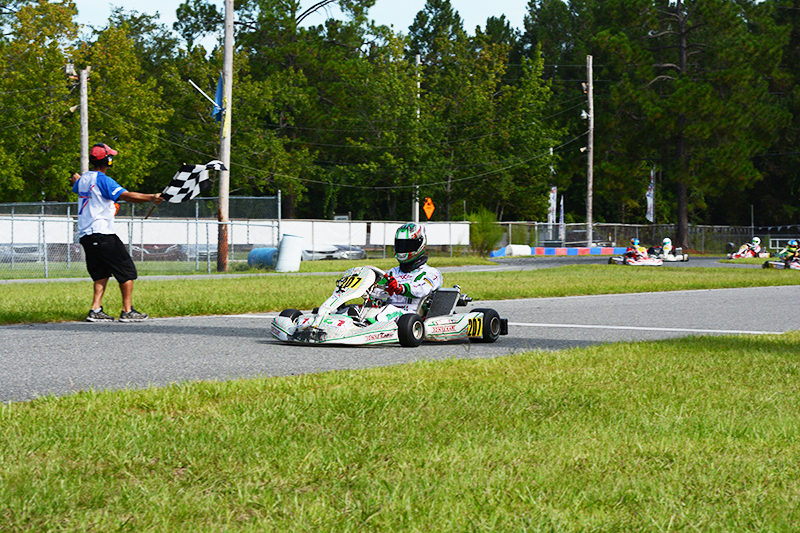 Taking on the ultra-fast 103rd Street Track in Jacksonville, Florida for Round #4 August 15-16, Gangi Jr. missed the top step of the ROK Junior podium but his efforts solidified him as the championship leader with one round remaining. 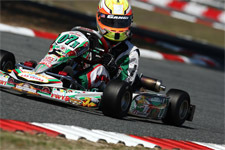 Starting with Saturday’s qualifying, the multi-time karting champ found himself down the running order in seventh after some mechanical issues. Knowing he could shine in the three wheel-to-wheel heat races, Gangi Jr. proved his speed and race craft coming home second in heat one. 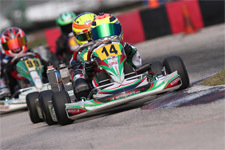 An unfortunate DNF in heat two, after Gangi Jr. was out of the race after three laps with a flat tire, the young gun was determined to come back strong on Sunday. And he did just that. 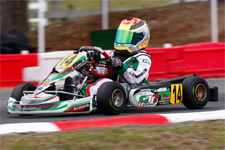 Claiming the third heat win and posting fast lap in the process, the Brookville, New York resident would find himself sixth on the grid for the start of the prefinal. Continuing his efforts, Gangi Jr. worked his way to the front; finally making the pass for the lead on lap nine to take the prefinal win. 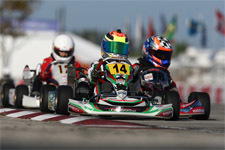 Holding the lead for half of the 15-lap final, Gangi Jr. was eventually overcome and drove to a second place podium result. 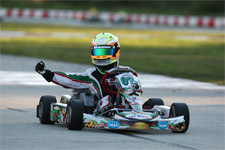 With three victories from the first three rounds and his second place finish from Jacksonville, Gangi Jr. has command of the ROK Junior championship points heading into the final round set for September 19-20 at the Orlando Kart Center in Orlando, Florida, and is poised to claim the ROK International Final ticket that is awarded to the champion.